Samson Doors manufacture the finest range of steel doorsets for almost any purpose, general or specific use with relevant certification. LPS1175, PAS24, LPCB, Secured by Design and so on to provide various levels of security and protection. If we don't readily offer what is required we work with 2 very large German manufacturers who will be able to design and build to bespoke requirements. A steel doorset is an investment in peace of mind and any compromise in specification and quality can only mean a compromise in the reason for buying the door in the first place. There are many very low priced, cheap steel doorsets available in the UK which offer little in the way of protection or insulation and are far too often not even meeting a minimum standard to enable CE marking. We believe that compliance should be a simple process, the right door for the right purpose and environment. To minimise any risk a steel doorset should be properly specified and when required certified for use in the UK. Predominately used in commercial and industrial premises (although also eminently suitable for many domestic applications) the steel doorset provides increased security protection, fire proofing, insulation and convenience. Steel door sets come in a wide range of styles and designs, with hugely varying options depending on the individual use and application. A steel door is nearly always a better option than a timber door in most commercial applications and now even in domestic too. Not to be confused with fire rated doors, the panic escape element is purely door furniture - a bar that releases the locking mechanisms without the need for unlocking. This furniture would only be fitted the internal face of the doors. 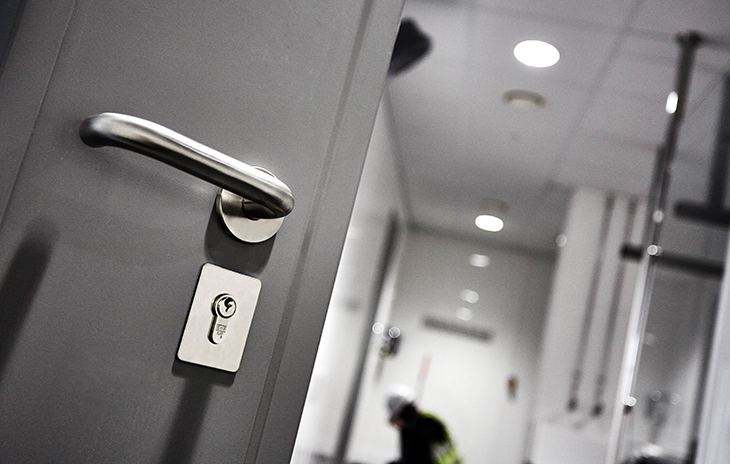 Our emergency fire exit doors can have far higher levels of security than most others to protect your premises as well as provide a means of emergency escape. Fire rated steel doors help slow the spread of fire & smoke and can ensure that if a fire was to break out, you would have vital extra time to make to make your exit from the property. They are becoming increasingly popular in today’s modern health & safety conscious world. 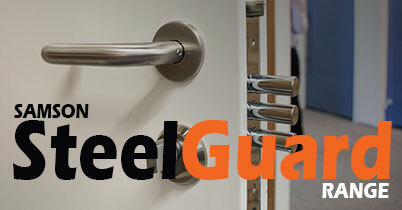 On all newbuild commercial properties fire rated doorsets are now the norm. Security Doors will protect property and assets within a building and are available with various tested standards from LPCB with LPS1175 levels 1 to 5, RC2 – 4, PAS24 and others. 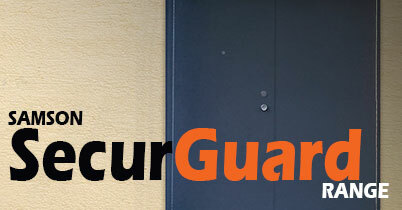 High security doorsets offer maximum protection from theft, vandalism and attack with proven specifications and independent approval from certified testing companies. Our insulated steel doorsets can be built to your exact specifications, within budget, any size, any colour. Offering ‘Easy-Fit designs to ensure fast and easy site installation as standard, all doors offering different degrees of insulation as required. The U values vary depending on the core infill and outer frame and we have doors to cover all modern requirements for domestic or commercial use. Thermal efficiency is key in our world today. Noise is not only uncomfortable; it is stressful and can even make you sick. Even a small noise can be stressful in the long run. 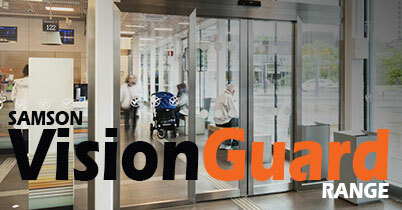 Our range of Acoustic tested steel doors offer various levels of protection depending on the application. Acoustic ratings vary from 33 to 57 Db generally. Designed to provide ventilation the louvred steel door will provide a great degree of security whilst also allowing some free airflow, ideal for rooms containing machinery requiring ventilation such as power stations, plant or boiler rooms. The amount of airflow can be increased by incorporating larger louvre panels, the amount of airflow required will depend on the usage of the part of the building they are protecting.